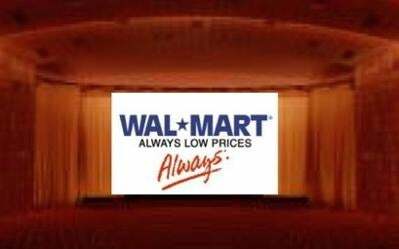 Looks like Wal-Mart is looking for a slice of the movie download business. Starting next week it's launching its own movie store. The way it works is you buy a DVD at the store and then log onto the Wal-Mart website to get your download (each DVD will have a sticker with a URL and promo code that you punch in to get the process going). Then for $1.97 you can download a version of the movie that'll play on a portable media player or for $2.97 you can download a version for your PC/laptop. Cough up $3.97 and you have the right to play it on either of the two. According to Wal-Mart, this gives buyers the freedom to choose what they want. Personally, I prefer to rip copies of any movie that I own and play them where I want, but that's just me. The service is kicking off with the Superman Returns DVD. Wal-Mart is also working on a more traditional download service, but those details are still under wraps.